As a huge Disney fanatic, the question I hear most frequently has got to be, "Isn't it expensive to visit the Disney parks so often?" Well, yes, a day at a Disney park is not exactly a bargain, but there are aways to take the financial sting out of your trips. 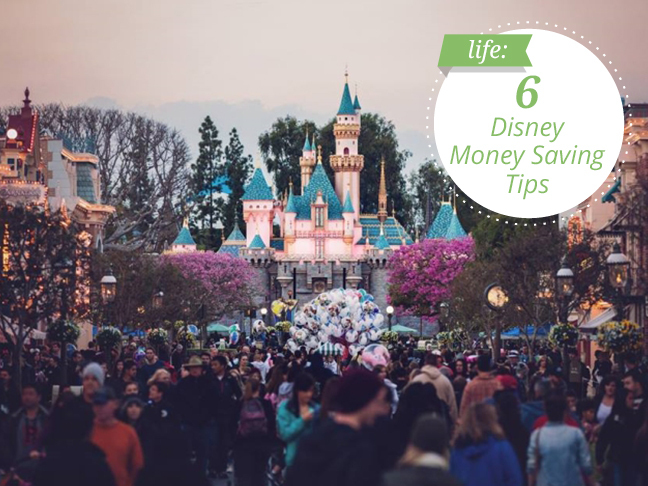 Today I'm sharing six ways to save money on your next Disney vacation. Some of these tips might not work for every family, but utilizing just one or two of these ideas could potentially save you a nice chunk of change. Go during the off-season. Most people can only take vacations around holidays like Christmas or spring break, or during the summer. So naturally these periods are the busiest and most expensive dates at Disney Resorts. If you can swing it, visit during January through March, or late September through early November. These are generally the least busy periods, and hotels will have the lowest rates. Sometimes during the off-season dates, Walt Disney World will offer a "free dining plan," which means you get free meals with your Disney hotel and tickets package! Stay off-property. There's something magical about Disney hotels, but if you need to save some money, there are a lot of great "Good Neighbor Hotels" that are still close to the resorts. For the Disneyland Resort, some off-property hotels are just across the street from the main entrance! At Walt Disney World, all Good Neighbor Hotels provide transportation to and from the Disney Parks. Make your own meals. 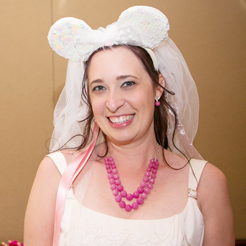 Did you know Disneyland has a picnic area? It's just to the left of the main entrance, next to locker storage where you can stash your (non-perishable) food items. Great for pre-made sandwiches, fruit, and chips. For Walt Disney World, eating just one meal in your hotel room can save a family of four nearly $300 during a week-long vacation (estimating $10 per meal per person). Personally, I recommend stocking up on fruits, bagels, muffins, and other inexpensive breakfast foods to eat before you hit the parks! You can also bring small snacks like nutrition bars or baggies of cereal into the parks to munch on while you're waiting in line to meet Mickey. Take your own photos. All around Disney Parks you will find PhotoPass photographers, ready to take your picture and hand you a PhotoPass card to buy said photos. But, PhotoPass photographers will ALSO take a photo with your own camera, if you ask nicely! Drink water instead of soda. Disney restaurants will provide a free cup of water if requested, or you can buy a water bottle (or bring your own container) and refill it throughout the day at drinking fountains. Considering sodas run about $3 each, this could save you and your family a decent amount of money depending on how long you are visiting. Look out for cheap or "free" souvenirs. My favorite "free" souvenirs are character autographs! You can buy an autograph book for about $10, or you can make your own using a notebook from the dollar store and some stickers. Have your book and pen handy, and every time you meet a character, ask for their autograph. Another inexpensive souvenir is pressed pennies. Look for machines all around the parks (or ask for a map at Guest Services). Each pressed penny costs just 51 cents! Don't forget to grab a couple park maps to take home as you're leaving the parks. When I was a kid, I loved looking at the Disneyland Park map over and over, dreaming of my next visit! Do you have budget tips for visiting the Disney Parks? I would love to hear them in the comments! I'm always looking for new ways to stretch my Disney dollar.